I always knew that I would find my calling among books. From my childhood bicycle trips straight across town to fill up a bag at the local library, to the constant book in my hands asking for my attention, the nights spent reading under the covers after my lights should have been out. Books seem like they have always been a constant in my journey and now, as a literacy teacher, I feel like I have come home. Right now is an exciting time to be doing anything with reading and writing. 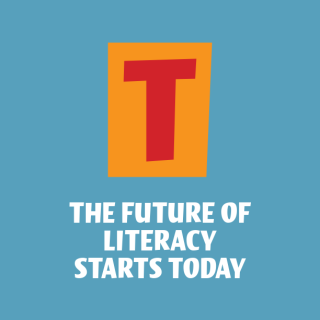 With new technology bringing the world into our classrooms, amazing books being churned out daily, and the incredible amount of knowledge that exists a few clicks away, it is an exciting time to be a book lover and a literacy teacher at the same time. It appears that now may just be the very best time to look ahead, to predict what is coming, and to cherish what we have right now. So I think the future of literacy will center around 5 themes that all very much interconnect to provide us with an even bigger opportunity to create passionate learning environments. Theme 1: Global Collaboration. I have to start with something that is so near and dear to my heart; global collaboration within our literacy programs. Students are no longer limited to contained experiences within our classrooms but can instead read aloud with the world, create products to share with others, create awareness, or simply work on a project with a classroom across the globe. Teachers in isolated locations can still be part of a global collaborative network using whichever tools they have access to. Why does this matter? Because we are teaching generations of children who need to function within a world that is truly at their fingertips at all times. No longer is group work contained to just being able to work with kids from their own community, but instead it can focus on developing skills needed to be an international citizen.